Board a rocket ship and blast off with Mickey, Donald, Goofy and all your pals on an incredible adventure! Colourful, flashing lights seen through the Clubhouse telescope inspire our heroes to embark on a remarkable voyage into outer space. Help them pick the right Mouseketools, so they can journey past the stars, to the moon...and all the way to the Red Planet! 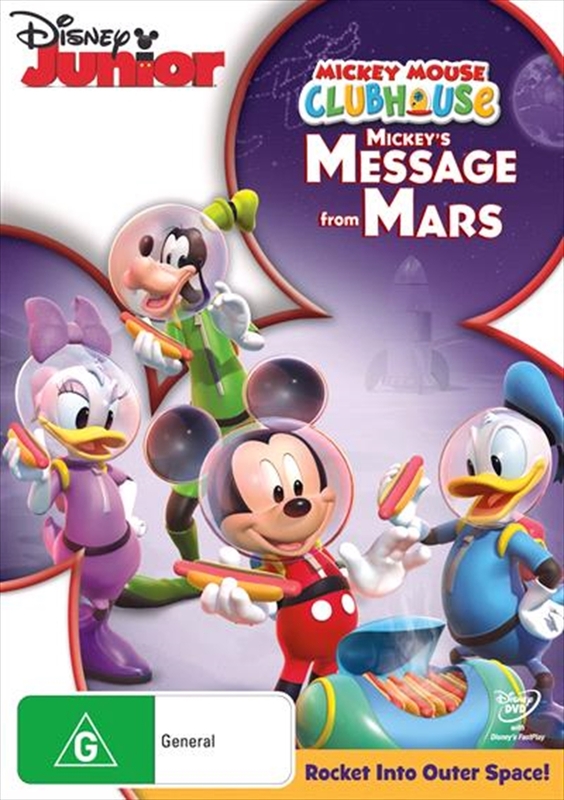 Full of laughter, excitement and amazing discoveries, Mickey's Message From Mars is out-of-this-world fun!